Basically, all women have into their wardrobe a pair of jeans, no matter where they are from. During the summer but also during the rest of the seasons, the jeans are a part of the casual outfits and it is up to the each woman’s ability to highlight her best parts of their body and to hide the ones that don’t make her too proud of. 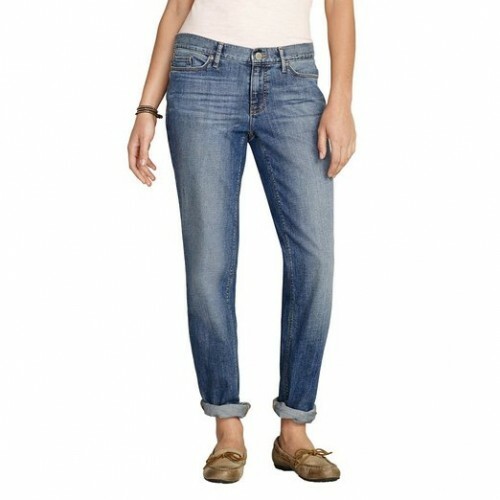 It often happens to see on the street, at the job or when going shopping women who did not chose correctly their jeans. Choose only the jeans models that are tight on your thighs and a little flared at your ankles, eventually with thin vertical stripes. The same effect can be obtained with the jeans models that have a high waist line. The most efficient method is to wear boot cut jeans worn with really high heels, while the hemline is reaching the pavement covering the high heels and making your legs look longer. If you have issues related to your weight and you want to look thinner, the best thing you can do is to avoid the white or the prewashed jeans. Focus your attention on the black or indigo denim. Also avoid the jeans without pockets on the back because they won’t work into your benefit, on the opposite. If that is your case then it would be best to avoid as much as you can the jeans that have very big or very small details. 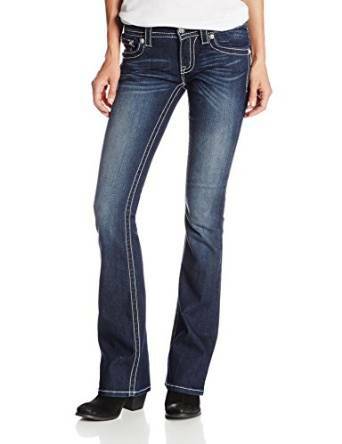 Choose a pair of jeans with pockets of medium size, as close as possible, vertically sewed. Another solution is to choose flared jeans that can equilibrate the width of your hips, also the jeans with a low waist line are recommended. In order to be able to create the illusion of a curvy silhouette you should choose a pair of skinny jeans because they are tight and will highlight every curve of your legs and will make your hips look wider. Also, if they have pockets with large details they will make your bottom look bigger. In your case, very high heels are not recommended at all, on the contrary, having in mind that your body shapes isn’t too curvy. Along with your body shape, you should consider the length of your jeans. The ones that are long enough to be worn with high heels, you should never wear with flats or sneakers. They will look ridiculous because they will be too long for them. 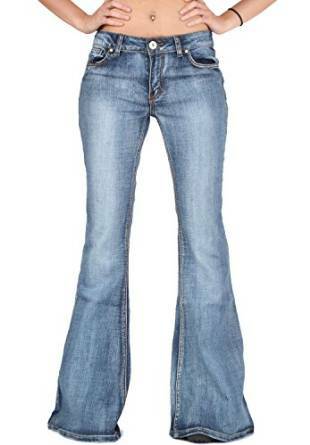 The length of a pair of jeans has to be the same with your legs otherwise it will affect your body line. When you are going shopping, you should adjust the type of your jeans to the height of the heels you are planning to wear. If you want that your legs to look thinner, the hemline should partially cover the heels. If you choose a smaller length, you will look shorter. The jeans are absolutely fantastic pieces of outfit with an extraordinarily huge versatility that allows you to wear them on many various occasions. As you have already seen, no matter your body shape, if you are a little inspired, you can find the perfect jeans for you, the ones that will best work into your benefit. Pay an extra attention to how you are matching this so common piece of casual outfit. But, at the same time, make sure you choose them according to your silhouette.